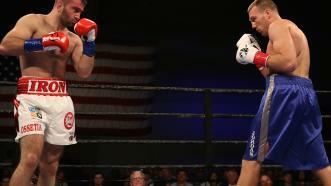 Murat Gassiev dropped Jordan Shimmell with a thunderous left hook late in Round 1, knocking him out cold to win a 200-pound title-eliminator bout. 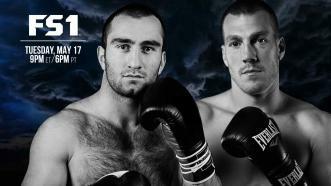 Unbeaten Russian Murat Gassiev takes on hard-hitting contender Jordan Shimmell in a 200-pound world title eliminator. With 12 seconds left in the first round Murat Gassiev (23-0, 17 KOs) unleashed a vicious left hook that flattened Jordan Shimmell (20-2, 16 KOs), knocking him out cold. 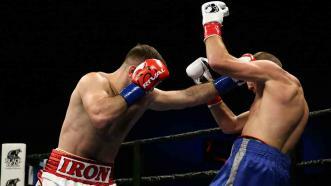 Murat Gassiev uncorked a devastating left hook late in Round 1 that knocked Jordan Shimmell out cold in a 200-pound world title eliminator. Isiah Thomas’ precision paid dividends as he earned a unanimous decision victory over Jordan Shimmell.